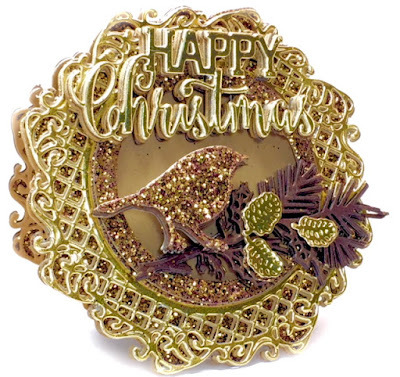 Cards by America: Catch Sue Wilson's Christmas Shows featuring her NEW Festive Collection Dies on Hochanda TV this weekend! Catch Sue Wilson's Christmas Shows featuring her NEW Festive Collection Dies on Hochanda TV this weekend! Hello crafters and welcome back! I have created a few Christmas cards with Sue Wilson's lovely new 2018 Festive Die Collection! If you haven't seen this new stunning collection, you must go check it out! The designs are gorgeous, versatile and great for year-round themed projects, not just Holidays! Visit this shop; In2Craft, and/or, the Sue Wilson FANS Facebook Page, found HERE. 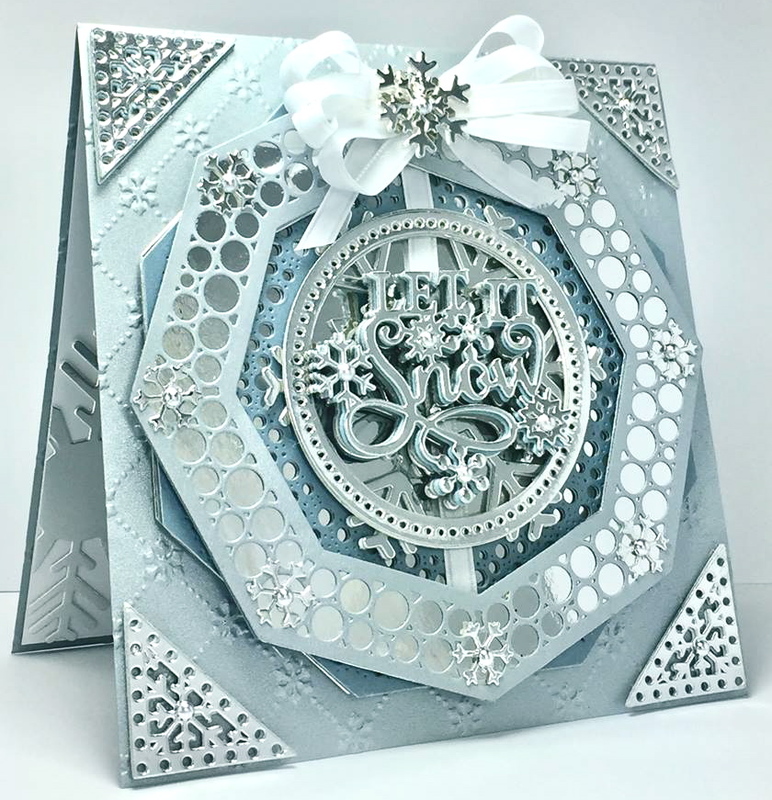 Here is a “Let it Snow” monochromatic card created with a couple of the lovely new Festive Collection dies; Festive Collection Snowfall Background, Festive Frames Carol, Let It Snow Snowflakes, Noble Collection Classic Adorned Octagon & Bold Snowflake Flurry Dies. 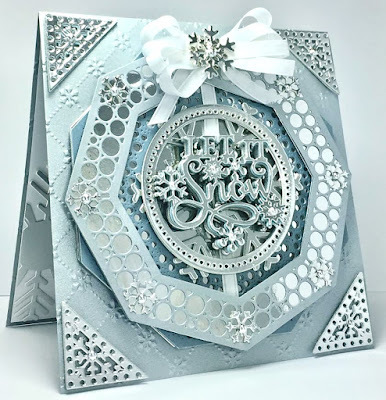 Also Sue’s A4 Snowflake Lattice Embossing Folder. I’ve used shimmery Cardstock papers and Creative Expressions Silver mirrored Cardstock. Finishing touches are flat-back silver pearls and ribbon. A mini-shaped monochromatic card created with these Sue's lovely new Festive Collection Dies; Festive Frames "Carol" and Christmas Robin dies. Also uses the Contemporary "Happy Christmas"sentiment die. Papers are: CE's Gold Mirrored CS, Martha Stewart's Glittered Brown CS, Shimmery Brown Paper and Kraft CS (Cardstock). Lovin' Sue's 2018 Festive Collection! 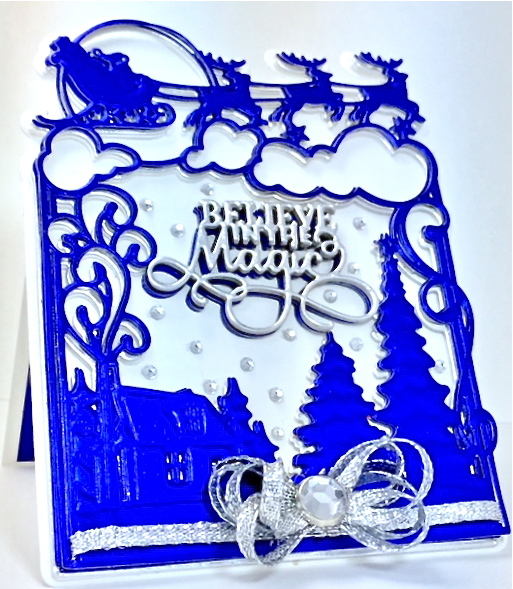 Here is a simple make using the fab "Believe in the Magic" Festive Frame... I've kept the shape of this die as my card base. 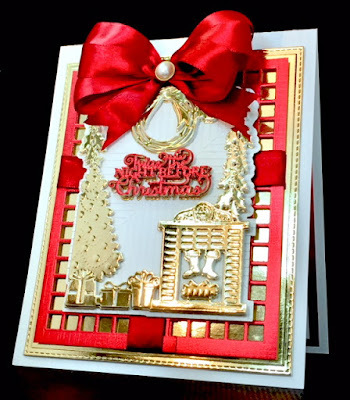 I see this great cutting die making for easy Christmas cards. I've die-cut the frame out of shimmery royal blue CS & CE silver mirrored CS. These cuts are then layered multiple times for depth and dimension. Adhesive rhinestones were randomly placed within the scene for added sparkle. Finished it off with a silver bow & bling along the bottom to highlight the magical scene. HOCHANDA, an acronym for “Home of Crafts Hobbies and Arts” Is a new, live broadcast, content-rich, TV home shopping channel. You can catch the show online too! VISIT us on Facebook! 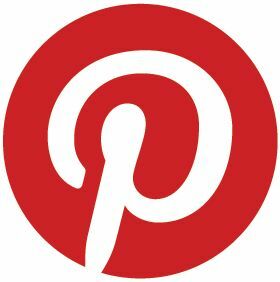 We are a FUN crafty group of SW enthusiasts sharing makes, ideas, tips, tricks and interacting with other fabulous FANS like you! Check us out! Even if you aren’t ready to start on your Christmas projects, it’s easy to get in the spirit when you can play with Sue’s most beautiful festive collection yet! I hope to have inspired you to give Sue Wilson's lovely collections a try! Thankyou for sharing your art at the Three Muses. So so so beautiful! Loud applause! Beautifully made! Thanks for sharing with us at The Merry Christmas Challenge. What wonderful cards you've created! That wonderful monochromatic pale blue card just takes my breath away with those lovely layers and die-cuts. Love the touches of silver with the blue. Thanks so much for joining our Watercooler Wednesday Challenge this week. Beautiful cards, thank you for joining us for Merry Monday. Stunning cards. Love all the elements and layers. Thank you so much for entering our ATG challenge at Through The Craft Room Door this week. Looking forward to see you again next challenge. Your Let it Snow card is simply stunning! Thanks for joining us at Watercooler Wednesday. Beautiful cards! Thanks for joining us at Watercooler Wednesday Challenges!